If you asked any scholar in my classroom over the last several years her favorite subject in school, she would say math. MATH! In a society where women and people of color are drastically underrepresented in Science, Technology, Engineering, and Math (STEM) professions, this is game-changing. My scholars didn’t love math because I am an outstanding mathematician. They loved math because I was coached to be a teacher who believed in the ability of every scholar to learn. Each day, I encouraged scholars to problem solve and build a mindset of determination and provided ample opportunities for success which created a sense of mathematical ambition. Too many schools allow teachers to flail in their first years of teaching, and too many children are underserved in that process. Just like learning math, teaching is a skill that needs to be constantly reflected upon and refined. There are schools in this country that have shown that 100% of scholars of any gender, race, or socioeconomic level can read and do math at or above grade level. This success happens when the adults in the building start looking to their own self-improvement as the key lever to success. Demanding effective teaching in our schools is demanding equality in education. Believe Memphis Academy has the vision and skill to build a strong, disciplined staff that will prove educational equality is possible here in Memphis. Leadership Prep Ocean Hill Charter School (LPOH), where I taught and led a grade team, sets a high bar for excellence and equality with a staff of teachers dedicated to practice and professional growth. Located in Brownsville, Brooklyn, where the childhood poverty rate is 24% above the city average, more than 85% of scholars received free or reduced lunch. On the state exams, the district school located in the same building had reading and math proficiency levels in the teens. LPOH had proficiency levels in the nineties. Same children. Same neighborhood. Drastically different outcomes. The leadership of our school was committed to naming and instituting hundreds of 1% solutions to create the most effective school possible. With high structure and high support for both scholars and teachers, we built a school filled with the joy and rigor that the children of Brownsville deserved. Without skilled teachers, we cannot reverse the achievement gaps that exist between the affluent and impoverished, between white children and children of color, between boys and girls. The team of educators at Believe Memphis Academy is willing and able to balance the harsh reality that many scholars in 4th and 5th grade are not performing on grade level with our unrelenting belief that every single child in Memphis is capable of great academic achievements. Families in Memphis are ready to send their children to a school that will refuse to lower the academic bar, while supporting their children in reaching it. What teachers, leaders, families, and scholars have shown and continue to prove in the highest achieving schools around the country is possible here in Memphis. I joined the founding team at Believe Memphis Academy because we share the belief that great teachers don’t just appear. They aren’t just born. It isn’t magic. 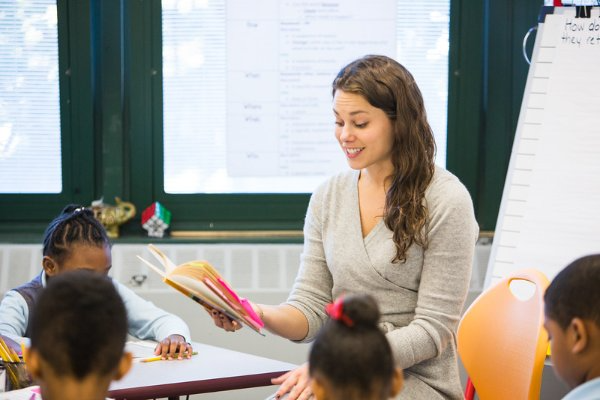 Great teachers are observed in their classrooms every week, given individualized feedback, and coached to collect, analyze, and respond to scholar work. Just like with world-class athletes, the trained eye of a skilled coach helps to refine performance, inching skills closer to perfection. We may never be perfect, but the only way we can get close is through feedback and practice. The “magic” we see when we watch a great teacher perform is replicable. A commitment to coaching, feedback, and intentional practice means that Believe Memphis Academy won’t just have one great teacher, it will be a school where great teaching is the norm. Nicole Warren joins the team as our Founding Director of Curriculum and Instruction. Mrs. Warren holds a Bachelor of Arts in Gender and Women's Studies from Bowdoin College and a Masters of Arts in Education from the University of Michigan. In her last 5 years of teaching at Leadership Prep Ocean Hill Elementary Academy in Brooklyn, NY (a school within the Uncommon Schools network), over 90% of her scholars achieved proficient or advanced (2 of those years having 100% of her scholars scoring proficient or advanced) on the New York State Standardized Assessment. Mrs. Warren turned down a Principal Fellowship with the Uncommon Network to move to Memphis, and she joins Believe Memphis Academy with the unwavering belief that ALL children in every community deserve access to a high-quality education.